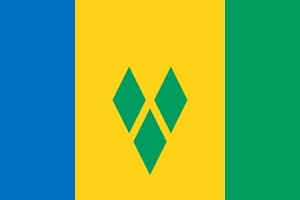 Saint Vincent and the Grenadines is made up by one larger island and 31 small islands and cays. In total, they covers 389 km2, where Saint Vincent make up 344 km2. Here live a bit over 110.000 citizens of which 66% are of African descent, 19% of mixed descent, 6% East Indian, 4% Europeans (mainly Portuguese), 2% Island Carib and 3% others. 81.5% of the population of Saint Vincent and the Grenadines is considered Christian, 6.7% has another religion and 8.8% has no religion. The first Europeans to occupy Saint Vincent were the French. Following a series of wars and peace treaties, the islands were eventually ceded to the British in 1763. The island was restored to French rule in 1779 and regained by the British under the Treaty of Versailles 1783. It gained its independence in 1979. The island of Saint Vincent is volcanic and includes little level ground. The windward side of the island is very rocky and steep, while the leeward side has more sandy beaches and bays. Here are three species of amphibians, three geckos, two Anolis, one Iguana, two skink and three snakes. 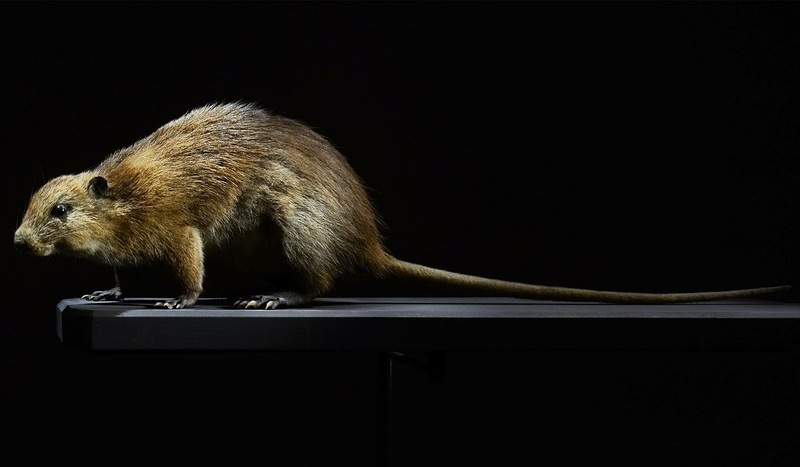 The mammals counts St. Vincent Pygmy Rice Rat: Oligoryzomys victus and four bats. The birds are represented by 150 species, one being the national bird; The Saint Vincent Parrot; Amazona guildingii, and the marine life is impressive. I am sure here are a lot of interesting plants too . 11/4 2019. I arrival from Saint Lucia just before eleven in the morning, get my new driving license for US$40, a large rental car; Suzuki Escudo and pass by the hotel to drop the bag. My first thought is; Saint Vincent is fantastic beautiful. Here are steep, green hills, blue sea and the scattered houses look great too. The road is winding its way through one canyon after another, and reach the sea from time to time. And that is only the short drive from the airport to the hotel, and I did cross the capital too! Right inside the door of the hotel, I meet a bright green Saint Vincent's Bush Anole, with blue eyes; Anolis trinitatis. Exact the same colours as Madagascan Day geckos. It is a nice hotel, close to town, but quiet. On the way out of town, I find some water, biscuits and bananas, and I'm ready for adventure. I head up the west coast towards Vermont Nature Trail. Most houses look quite new and big, but here are a few older wooden sheets too. Many of the ocean-facing hillsides are filled with colourful homes, but also a lot of greenery. I make a lot of photos, neither justify the beauty. It feels like a minor road, connecting small villages, but it is the main western road I'm on. Then I turn inland on a smaller road, paid for with my European Union tax money. It connect even smaller communities, is more winding and even more picturesque. I find the office, get a little speech and head on to the trail. The staff of four had another guest yesterday, and two last week. I pass a few goats and a donkey, then I enter a dense forest. Here are numerous Bromeliads and ferns on the trees, of which many are planted Caribbean pine and cacao. It have not been cultivated for a long time, and it feel almost natural. Then I reach the true wild rainforest. A river passes bye, and create more great views. Here are Peperomias, Begonias, orchids and a hole lot of other plants among the big trees. The trail gain height, and passes a few clearings. I hear the Saint Vincent Parrot; Amazona guildingii, and after some time, I see them pass the few openings in the canopy. There are less than 500 left of them in the wild. I don't see that many animals, but the green Anolis are everywhere. Here are a few fruits on the lower bushes like the Blue Waxflower. Many of the bigger trees are covered in the roots of strangler fig trees. I find some seeds of the Sarinette Tree, called Jumbie Bean. The look exactly like giant Pater Nostra beans: Black and bright red. Here are some small terrestrial orchids, but I only find them with fruits on. At one time, I try to record the voices of the parrots, and when I walk the trail, I end up at a giant tree. Almost a Avatar-tree. It is a giant Monkey Goblet - or strangler fig. It is at least fifteen metres across the base, but the board-shaped roots make the most. There are not really a centre stem, just a bunch of smaller ones. Well, 36 kilometres, then the road stops. The road keep shifting between the high grounds deep inside the mountains and all the way down to the sea and small fishing villages. The road is fairly good, and here are not much traffic. I start stopping right on the road, when I see something especially beautiful - and that is quite often. The outer costal facing cliffs are slightly dryer, and some have a few Cereus and Agaves on. I only breathily consider breaking my neck to get a good photo of them. A giant Silk-tree is loosing its seeds from the fruits, and fluffy bundles of silk with a single pea-sized seed in, are flying with the wind. I stop at several of the beaches, but besides from the fishermen's small vessels, here are not really anything interesting. Most of the small villages have a little old English church, made in the local rocks. Further north, the settlements are getting scars and the nature even more fantastic. Some of the vertical rock sides are almost barren, others covered in huge trees. Some of the water facing cliffs are real high, and offers some great views. One section have a lot of Silk-plants, some of them bright yellow. I reach the end of the road close to five, and it almost look like a Danish beech forest at the seaside. Light green leaves on huge trees and the bright light from the sea. I make a stroll along the sandy coast, but the sun is low, and I have 40 kilometres home, on a beautiful but very winding road. My GPS optimistically estimates 40 minutes, but realistic is more than twice. I try not to make so many photos on the way back, but it is so nice! And the low sun is sometime at my back, adding to the atmosphere.